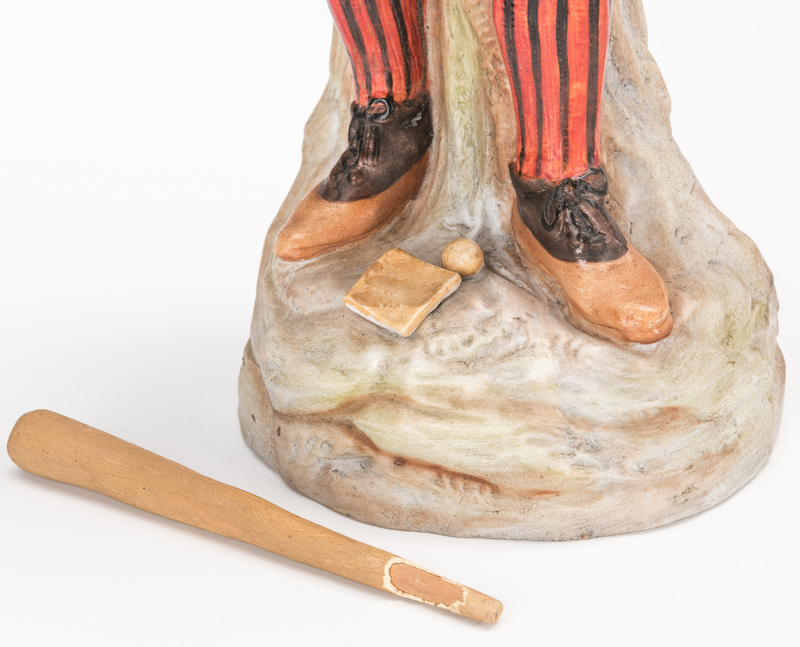 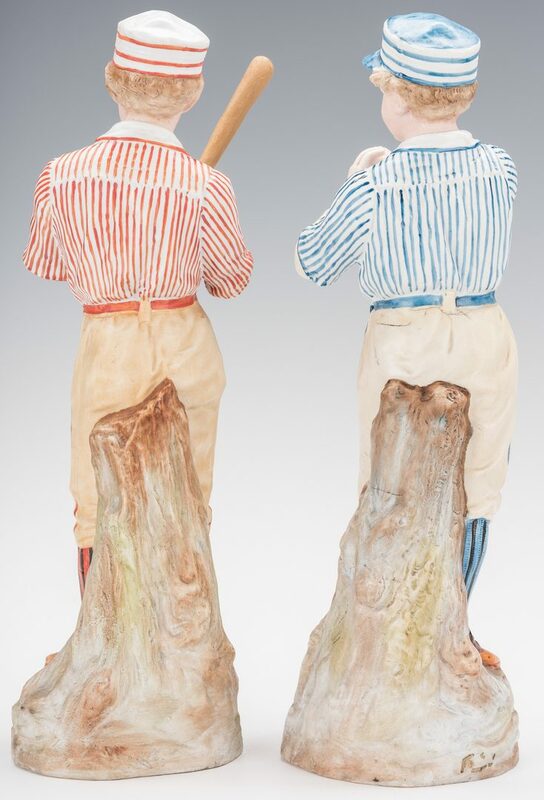 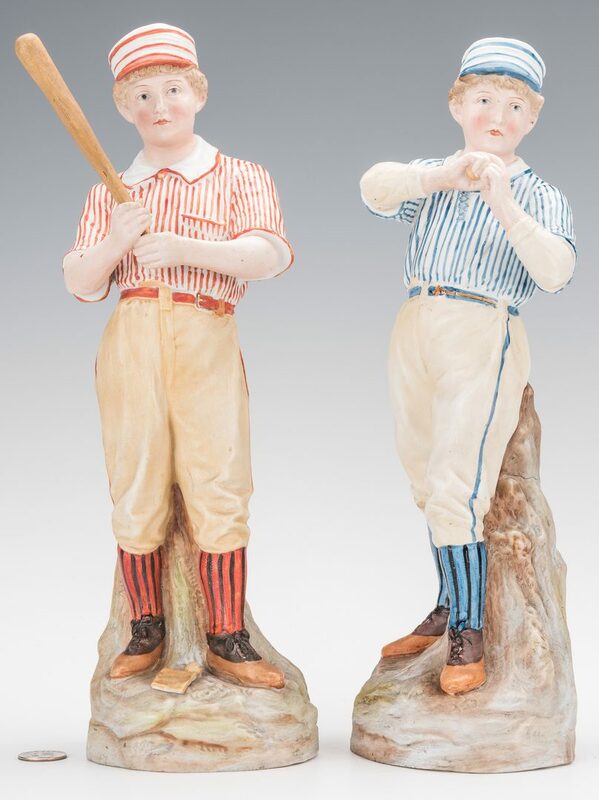 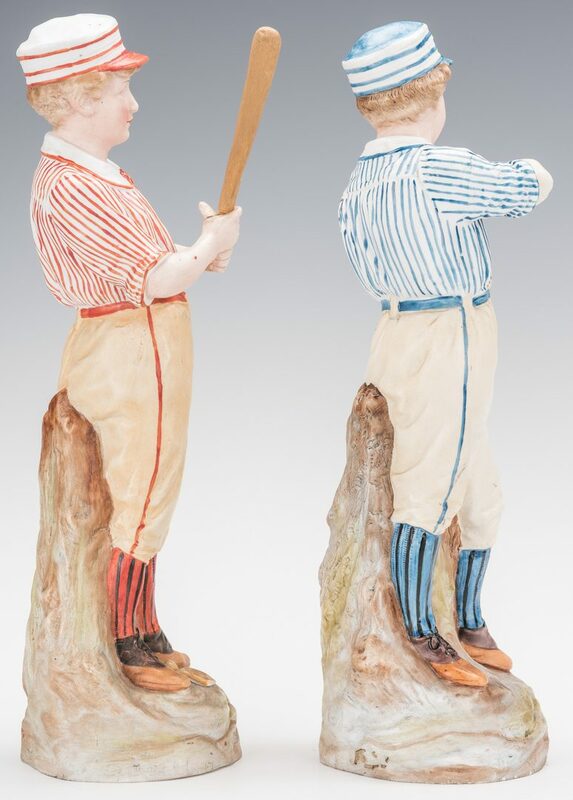 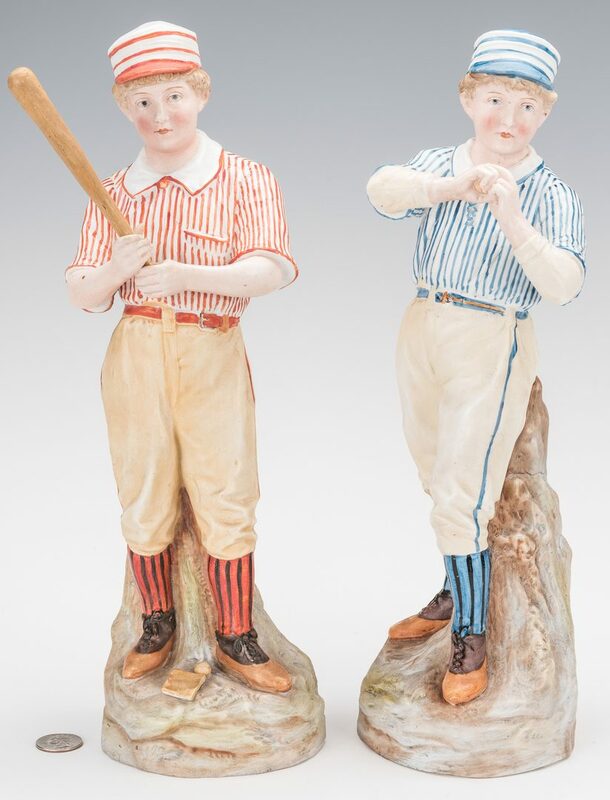 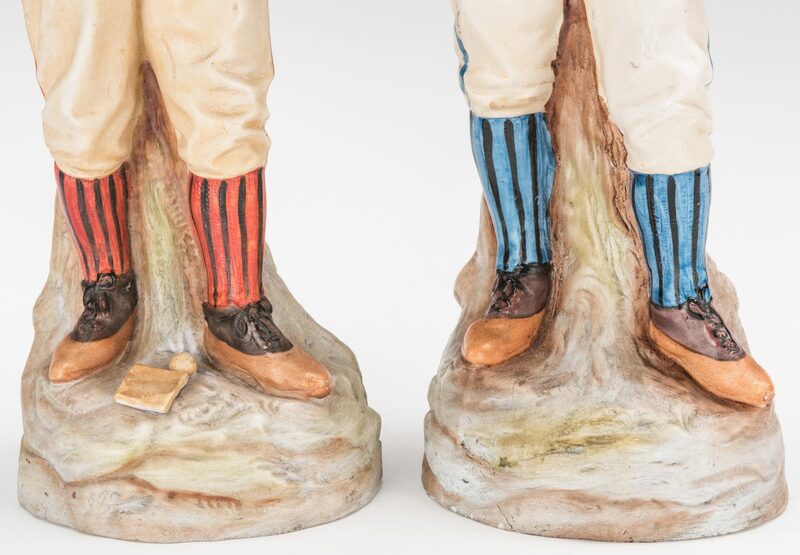 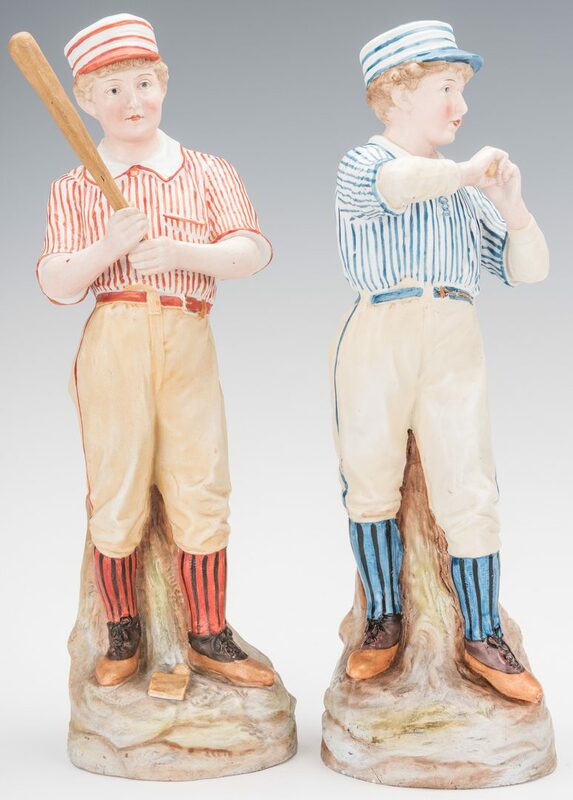 Pair of German Heubach bisque porcelain baseball figures, one depicting a batter and the other depicting a pitcher both in action poses and standing on a naturalistic ground. 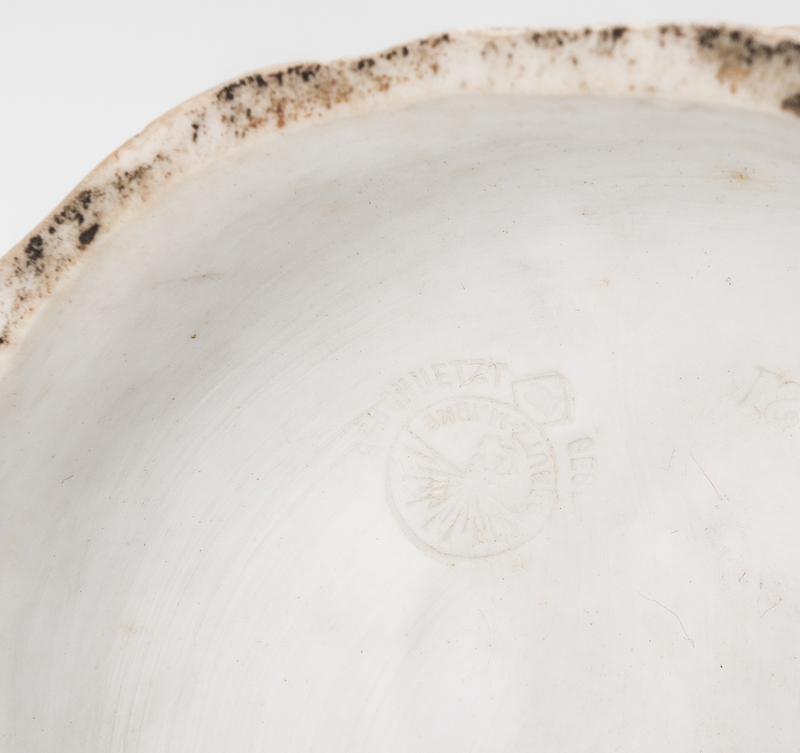 Heubach stamp to the underside of the hollow bases of each. 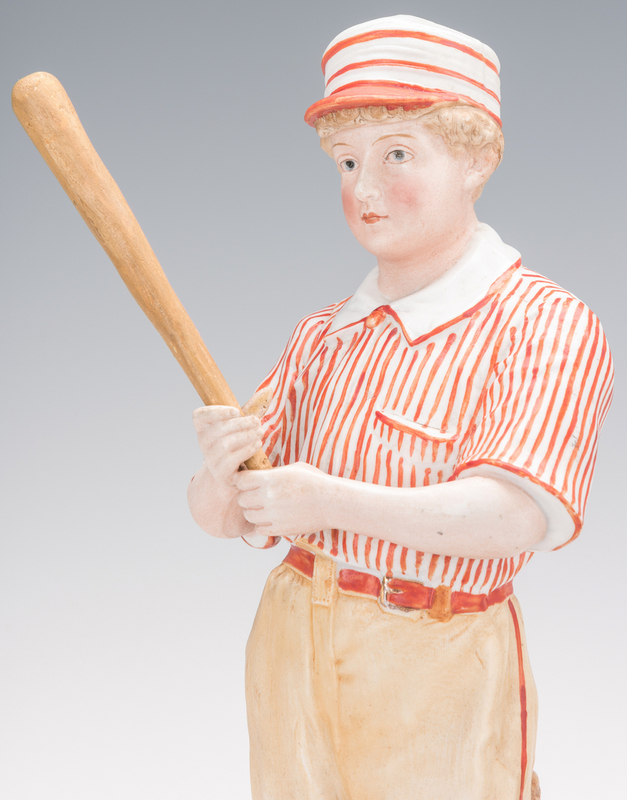 14 1/4" H. Late 19th century. Provenance: The collection of internationally known ragtime pianist and historian Johnny Maddox, Gallatin, TN. 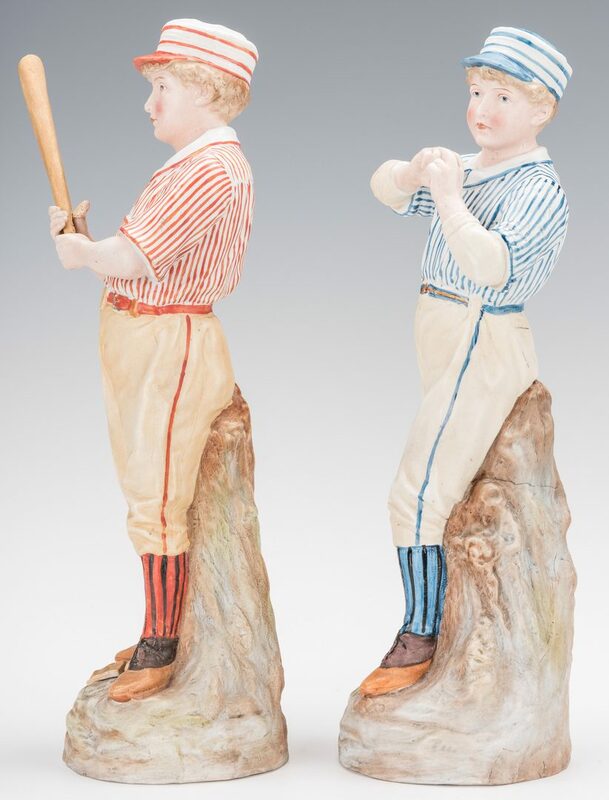 CONDITION: Pitcher figurine overall good condition with light grime and age cracks to back waist. 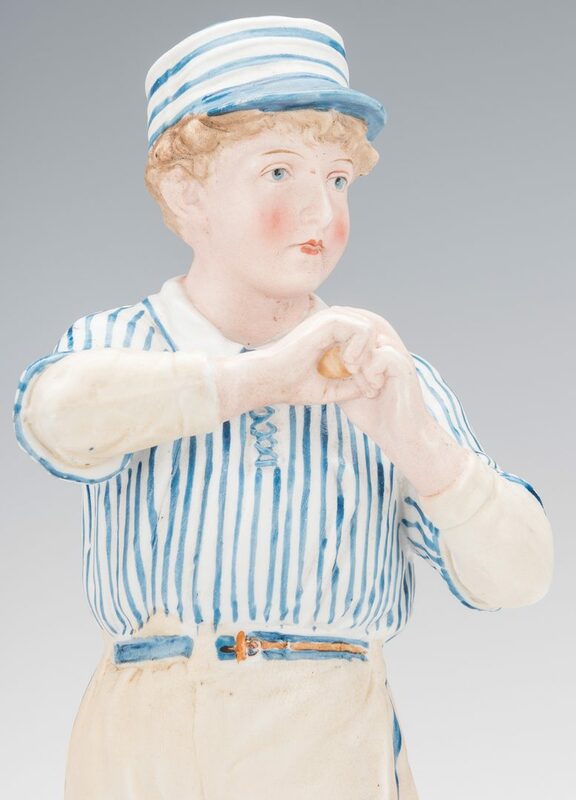 Batter figurine with broken thumb to one hand with old repair. 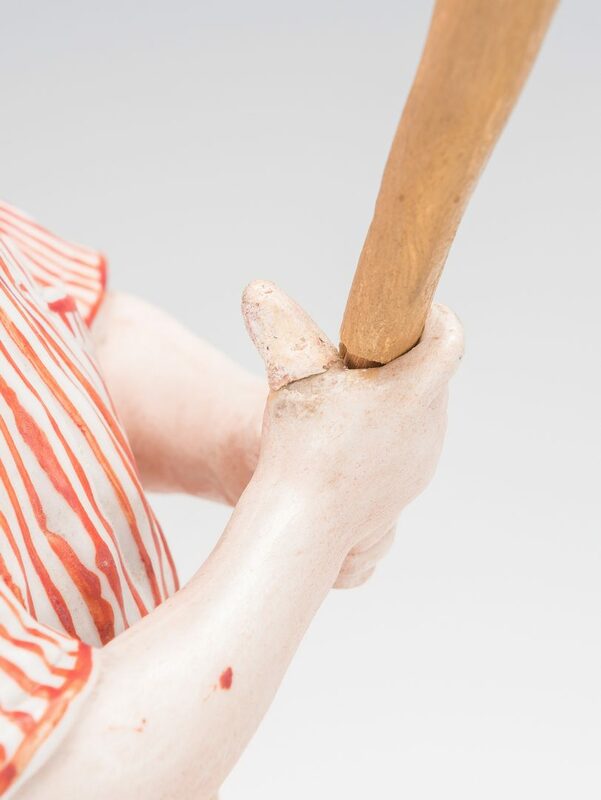 Bat possibly a replacement.